This basket of 6 stem orchids is unmatched for its elegance and sensuous charm. They look so natural yet so gorgeous, making it a fascinating bouquet for a special occasion or day. It has the magical power to change a dull morning to a beautiful day. 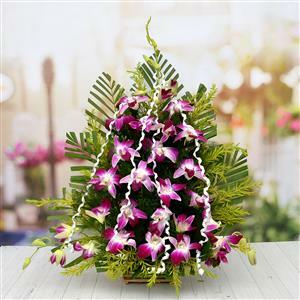 Send this beautiful orchids to India through RGCards.com. You can also send other Gifts to India.